Have You Heard About Shrinkage? As woodworkers we have developed our skills worrying about shrinkage, many knowing that quartersawn lumber is more stable, but not really understanding why. We know a piece of wood is going to get fatter in high-humidity and skinnier in lower humidity, but to what extent, and how is that going to effect the shape of the lumber. 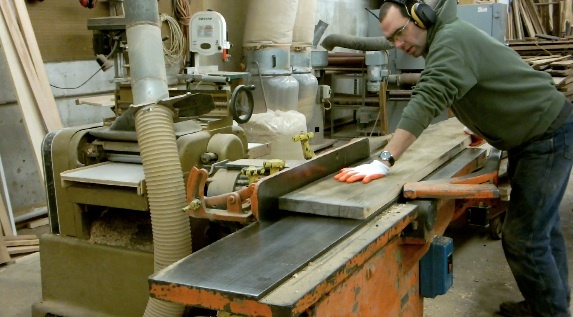 If the lumber that is being used isn’t obviously quartersawn then what will happen? Is it flatsawn? Or, is it riftsawn? Or, maybe, kinda riftsawn? I say stop worrying about, and trying to name, the condition of each piece of wood when trying to understand how it will move. 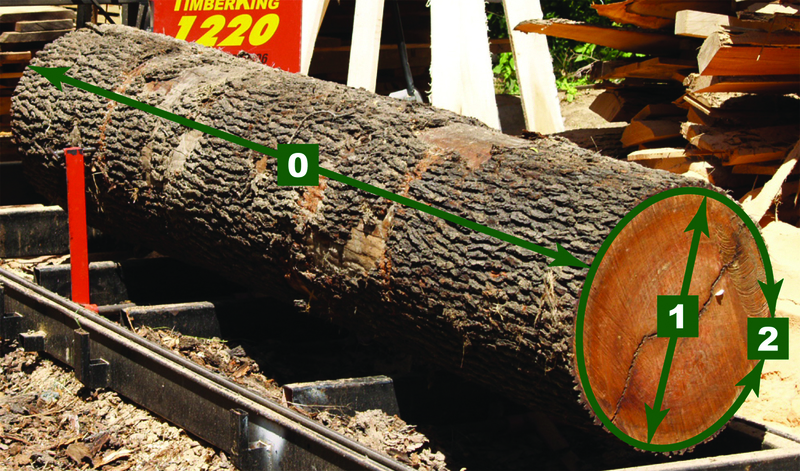 A simple rule can be applied to the log to understand wood movement, which can then be easily translated to the lumber. Following this rule will tell you how the lumber is going to shrink, no matter which part of the log it came from or the direction it was cut. Just looking at the endgrain will tell you everything you need to now about the lumber you are using. 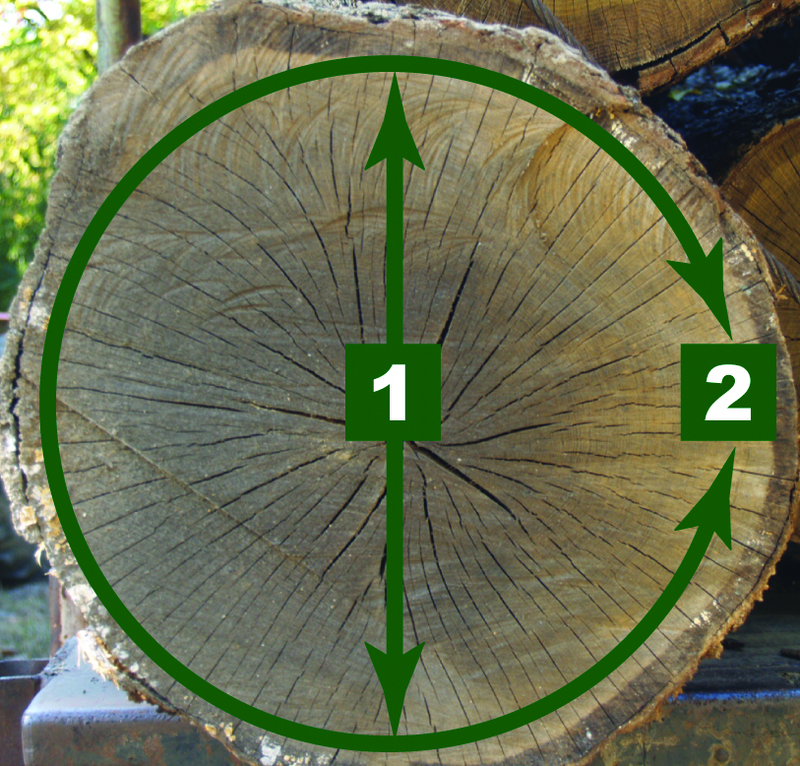 This illustration shows how the 0-1-2 rule is applied to lumber in the log form. The end view of this white oak shows how logs crack or check on the ends as they dry out. The cracks open up because of twice the amount of shrinkage in a circular direction. I call the rule the 0-1-2 rule, which is a simple ratio of wood movement in three directions in a log. The first direction is along the length of the log. Since the movement along the length is negligible the number is 0. Basically, lumber does not shrink in length. The next number, 1, is applied across the end of the log. In this direction the lumber does shrink, and in a ratio of 1 to the 2 in a circular direction, or half as much. The third number is the 2. In this circular direction, the log shrinks twice as much as it does across the log. This 1-2 ratio is what causes all the kerfuffle in wood movement. Since the two directions aren’t shrinking and/or expanding at the same rate, wood can’t just be thrown together any direction and expected to stay together. These movement forces are great and will blow things apart or break lumber if not allowed to move. There is a lot more to be said in a complete discussion of wood movement, but this rule lays the groundwork for all further discussions. Study this one and get to know it like the back of your hand. After you do, it won’t matter what the cut of wood is called, you can just look at the end of the board, envision where it came from in the log, and know how it wants to move. Looking forward to more about this one….